My entry into the medical field started with a passion for fitness and nutrition and a fascination with the amazing abilities of the human body. This prompted me to take an anatomy and physiology class my sophomore year of college and things were never the same. I entered medical school with a passion to practice lifestyle medicine; however, like so many other physicians, somewhere along the way my traditional medical education and training led me down a path that was primarily focused on disease management rather than health promotion. I completed a 5 year residency at the University of Kansas Medical Center in both Internal Medicine and Psychiatry. Nearing the end of my residency I had aspirations of seeking out additional training in Integrative Medicine; at that same time, my first son had just been born, and it was time for me to start earning a living to support my family. Out of all aspects of my residency training I felt I was best trained to do hospital medicine and accepted a Hospitalist position at The University of Kansas Hospital. I enjoyed the challenge and acuity of managing hospitalized patients at a large academic medical center, and the schedule afforded me lots of time to spend with my family and do self-directed study in Integrative Medicine. After just a couple of years of practicing hospital medicine, I began to realize how misguided our healthcare system can be. In the hospital, I was expected to practice in a very protocol driven way which in acute, life threatening situations can be life-saving. However, the majority of patients were there for exacerbations of chronic illnesses and the protocols only addressed the symptoms of the disease and did very little to alter the disease process itself. In some cases, I even felt this type of medicine was doing more harm than good. I would see the same patients with the same problems over and over again, and my current medical training did not give me much to prevent this. It was a very discouraging feeling and made me explore why I wanted to be a doctor in the first place. During that exploration, I discovered Dr. Andrew Weil’s Fellowship in Integrative Medicine, and I knew it would play a role in my future career. While looking deeper into the philosophies of Integrative Medicine, the passion that originally prompted me to go to medical school came rushing back. I applied and was accepted to the 2 year fellowship for which I am currently completing. Spending time in the Integrative and Holistic medicine space has also led me to a discipline that I truly believe is the future of chronic disease management and that is Functional Medicine. Functional and Integrative medicine are very similar in that they are both patient-centered approaches that addresses the whole person, not just an isolated set of symptoms. 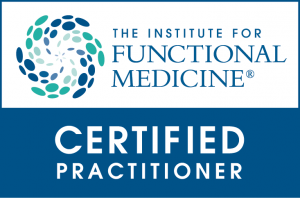 My Functional Medicine training gives me the skills and knowledge to find the root cause of dysfunction and disease in the body and provides a framework in which to apply my Integrative Medicine training to restore the body to its optimal state. When I am not practicing or studying medicine I enjoy spending time with my wife, Liz and 2 awesome little boys, Noah and Conner. I have a passion for cycling and most anything outdoors and love supporting my Royals, Chiefs and Jayhawks. I look forward to partnering with you and learning what true health means to you and how together we can get you there. My journey into the world of health and wellness had a somewhat unconventional start. My initial training led me to a Bachelor’s degree in Psychology from the University of Kansas and a Master’s in Social Work from the University of Oklahoma. With a strong interest in helping children and families, I began working as a therapist at a local children’s hospital. Following my time as a therapist, I jumped into the world of pharmaceutical sales where I continued to enjoy working with doctors and other healthcare practitioners yet it did not take long to see the challenges and limitations of a pure pharmaceutical approach to health. Following the birth of my first of three children, I decided to stay home to care for my growing family. It was during this time that I began reading more and more about functional medicine and holistic health. I started implementing what I was learning in my own life and began to see dramatic improvements in my health and the health of my family- I knew I had found my calling! It was then I decided to obtain a Holistic Health Coaching certificate from the Institute of Integrative Nutrition in New York. 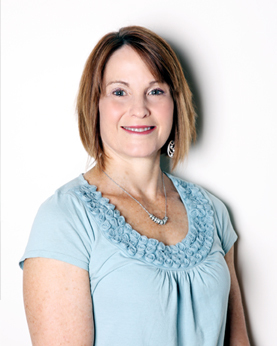 Once my training was completed, I started a solo health coaching practice for busy women and families. Being part of a busy family myself, I realized the importance of making small, sustainable changes that build over time to create an overall healthy lifestyle. I learned that not one dietary theory or plan is right for everyone, and it is important to meet people where they are and help them make simple, yet impactful steps toward their health goals. As a therapist, I am also uniquely positioned to help individuals with other aspects of their life such as time management and reducing stress. Although I enjoyed my solo practice, I knew I could make much more of an impact by partnering with a physician that also believed in a functional and integrative approach to healthcare. When I heard about Premier Integrative Health and met Dr. Dyer, I instantly knew this was the right place for me. I look forward to this new chapter in my life and having the opportunity to help our patients achieve optimal health. How I ended up as a health coach has a lot to do with my passion for people, and their overall mind/body wellness. Kansas City born and raised, I lived the typical Midwest lifestyle, and over time I developed some not so awesome habits. Hey, it happens right?! When I was about 19 I decided to take my ventures out to southern California for several years and that’s where the change began to happen. I saw that people didn’t age the same there, and they didn’t have the extra weight and health problems that a lot of us Midwest folk do. The difference I saw really inspired me to look deeper into the “WHY” of overall wellness. Through the years I have read dozens of books and spent hundreds of hours studying and listening and learning until I eventually found Premier Integrative Health and Dr. Dyer. This is when my real schooling began at the Institute of Functional Medicine Coaching Academy. My most liberating career for the last 7 years has been as a Yoga teacher. I have seen my students grow and change and become free for the first time not only in their body, but also their mind AND emotions. I’m sure its been more inspiring for me to teach my incredible students than it is for them to receive my teachings. My journey in teaching Yoga has truly blessed me more that I could have ever imagined. As time has gone by I have realized that I must do more. I am ready to take on the whole picture with my clients and really show them their potential and work with their own God-given strengths to achieve their personal goals. That being said lets go back to my passion for people and how Health Coaching seems to just fit in every way. I am so excited to continue down this road with you and share my 15+ years of knowledge and expertise. Coaching others one-on-one is such a privilege and fulfills my desire to develop others to be their absolute best. No matter the goal I believe we can achieve it. Im looking forward to showing you just how ALIVE you can really be! For almost a decade, I have assisted people pursue their health care goals. The daughter of a third generation osteopathic physician, I grew up knowing that a healthy person must find harmony in mind, body, and spirit – that it’s all connected. I have always known that to fulfill my spirit, I need to help people on their path to being happy and healthy. That is why I’m excited to be part of the Premier Integrative Health team. 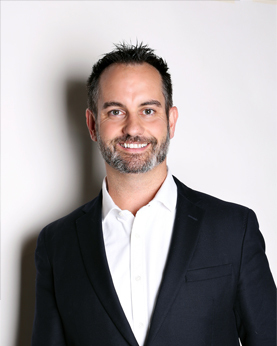 With patience and care, I will be able to help you understand the practitioner’s recommendations related to nutrition, supplements, specialty testing, and holistic diets. When I’m not at the office, I assist people with food prep, shopping, pantry/kitchen makeovers, and I even help with event planning for the health conscious entertainer! I spend most of my free time with my husband Cliff – traveling, gardening, camping, or dancing to live music. I am also passionate about art and photography, and I LOVE watching documentaries. 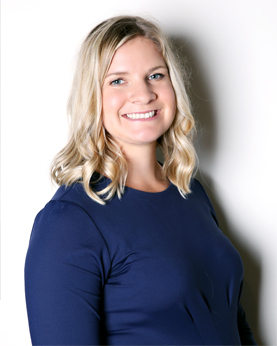 As an integrative and functional nutritionist, Abby believes in a team approach to health care that identifies and treats the root cause of illness. She believes that a whole foods diet along with targeted nutrient supplementation help clients heal naturally and achieve optimal health. Although lifestyle changes can be difficult, Abby provides tailored support to each client helping him/her find a personalized plan that works. She especially enjoys working with individuals affected by chronic disease, autoimmune conditions and food sensitivities. 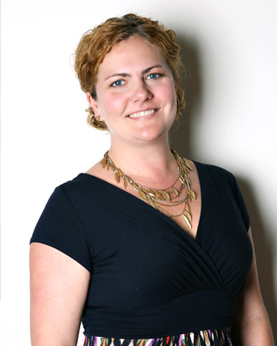 Abby is a Registered, Licensed Dietitian with a diverse educational background. She received her BA in psychology from the University of Missouri in 2011 and continued her education in Nutrition and Dietetics at Northwest Missouri State University. She then went on to earn her Masters in Nutrition and Dietetics from University of Kansas Medical Center. 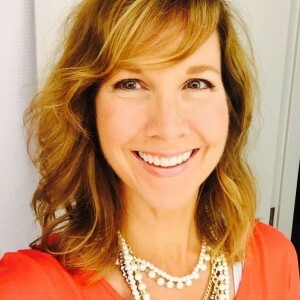 Following this, she completed a specialized fellowship with the Dietetics and Integrative Medicine program at the University of Kansas Hospital Integrative Medicine Clinic, where she developed her passion for providing individualized, whole food focused nutrition therapy to clients. Abby is devoted to living a full, balanced life centered on serving others. She loves spending time surrounded by friends, family and laughter. Her favorite moments of the day are enjoying a quiet cup of morning coffee and retreating with a good book at night. Abby also enjoys gardening, trying new foods, cooking, yoga, and weekends at the lake. I first began to think about practicing massage years ago when I was a Registered Nurse in Intensive Care. I began using therapeutic touch therapies to bring comfort to my critically ill patients and their families. These methods enabled me to bring a real sense of humanity into a very mechanical and stressful environment, reducing fear and agitation, and facilitating rest and healing. Some years later, during my time as a Hospice nurse, I used light massage and therapeutic touch to convey compassion and empathy, and to help relieve loneliness. However, since much of my nursing career was dictated by administrative factors and a demanding schedule, I decided it was time for a change. I was hungry for a lifestyle that would combine my dedication to healthcare with a way to feed my own soul. I completed an extended massage therapy program at Wellspring School of Allied Health and learned to turn my way of thinking around. I now enjoy being able to utilize my senses in different ways, to trust my intuition more than ever, and to be truly present in the moment. As a Board-Certified, Licensed Massage Therapist, I am fulfilled by combining art and science every time I work with my clients. Joining the team at Premier Integrative Health has given me a wonderful opportunity to educate others on the importance of unifying mind, body and spirit. Here we are unified in empowering people to gain confidence in using their own strengths to heal themselves and thrive. In my spare time, I love spending time with my husband and daughter, two cats and friends. I’m passionate about fitness, soaking up the outdoors, reading, watching movies and listening to good music.